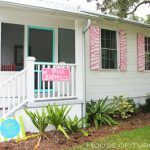 It’s been awhile since we visited little ol’ Tybee Island and checked in with one of my favorite designers–Jane Coslick! 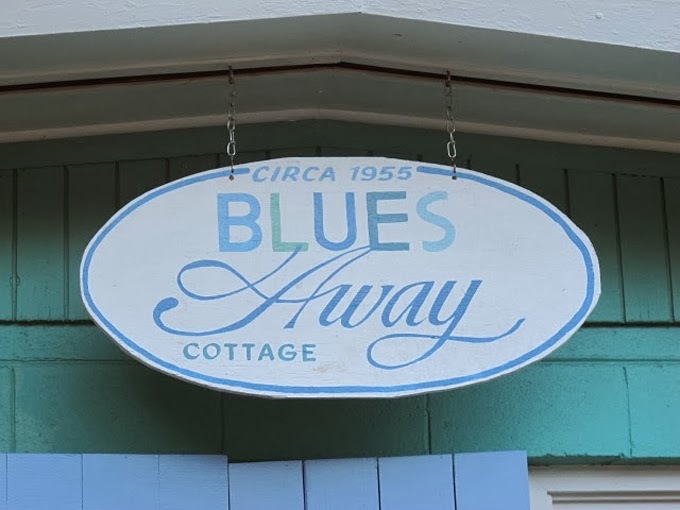 Blues Away is one of her most recent projects, a 1950’s cottage that received the total Jane Coslick redesign and renovation treatment! 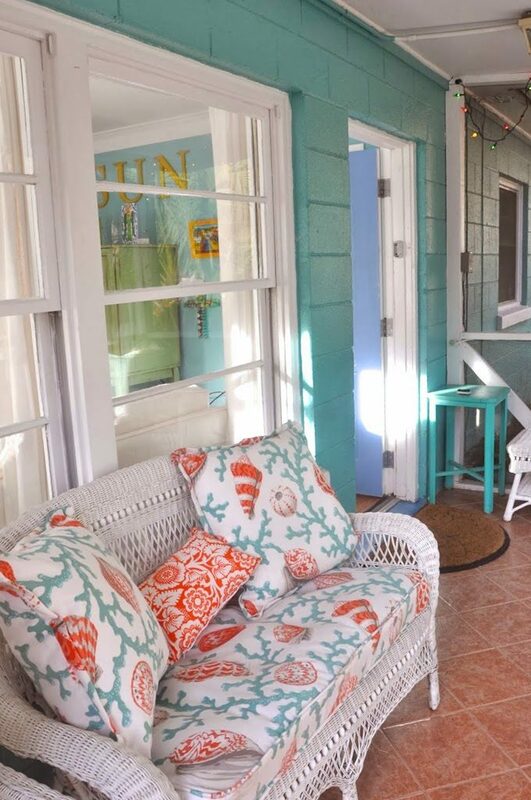 So bright and cheery, but relaxing too…really the perfect place to unwind and get away! 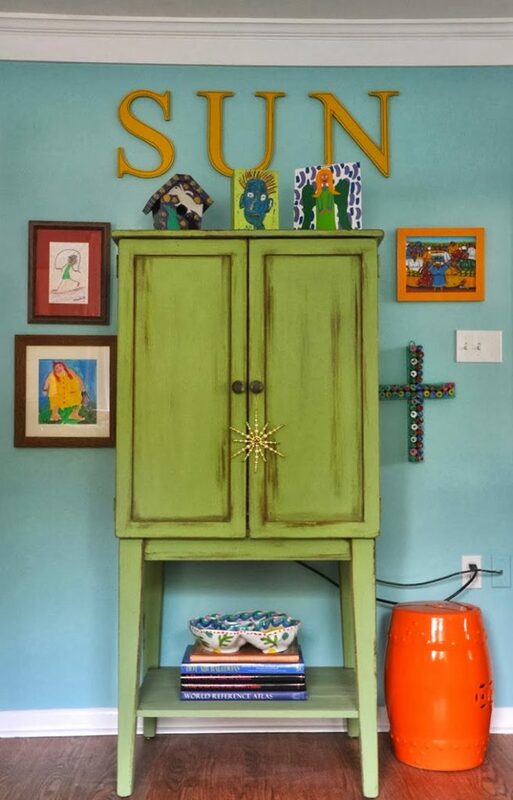 Love the details in the home like the homeowner’s collection of folk art, those cute pearl-wearing zebras, headboard made of old shutters…and all those turquoise walls! 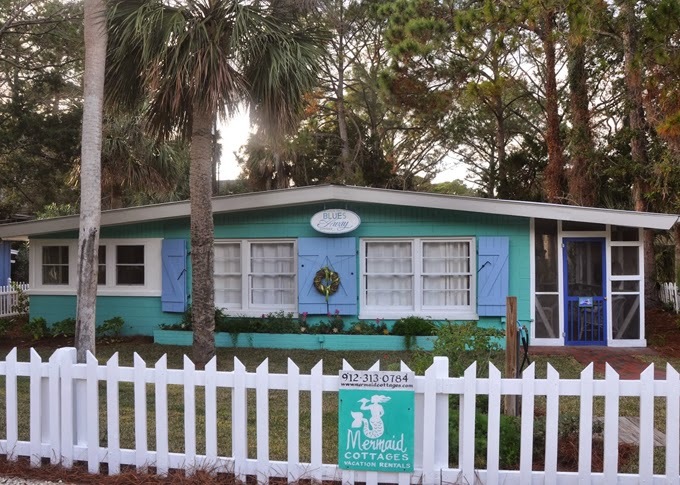 Lucky for us, when the owners are away they rent out their home through Mermaid Cottages…go here for tons more photos and info on that! 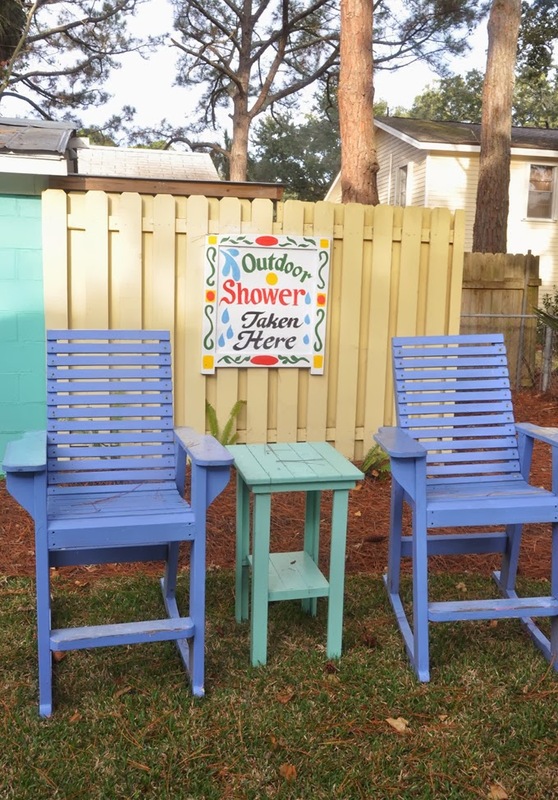 And visit Jane’s blog to see even more pics and read about the home! It that in Florida? My in-laws live in Georgia and we go to Fernadina Beach and I believe we pass that island. The homes are really colorful!!! What drop dead gorgeous photographs!! Love that I dropped in to see such a delightful post!! I have to say I was surprised and delighted to see the bed with the weathered shutter headboard. Donna, Tybee Island is in Georgia near Savannah. Gorgeous house! Love the colors. 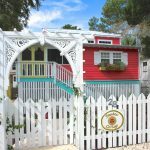 I keep saying I am going to get there and stay in one of these precious cottages…love every one of them!! 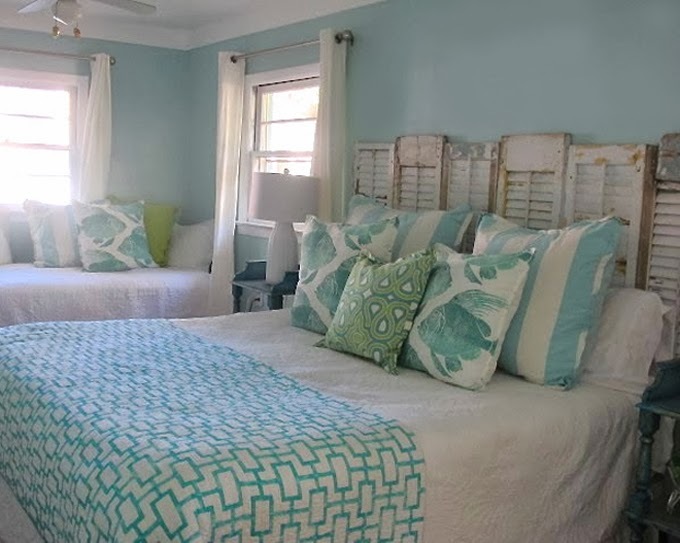 I just love the white doona covers and bed linen with the colour accents achieved with the coverlets. 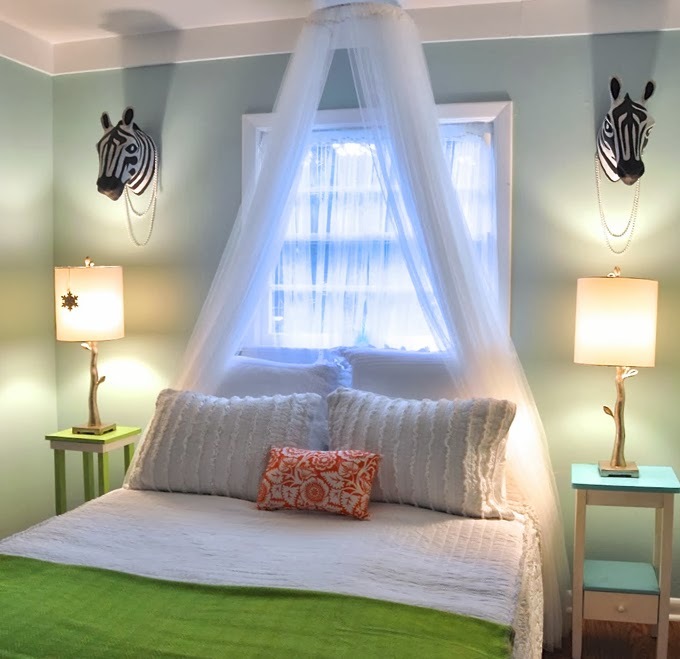 What do you suppose they used to hang that sheer curtain over the bed? The charming daybed in the master bedroom looks like the perfect spot to curl up with a good book (Ann Patchett's STATE OF WONDER). 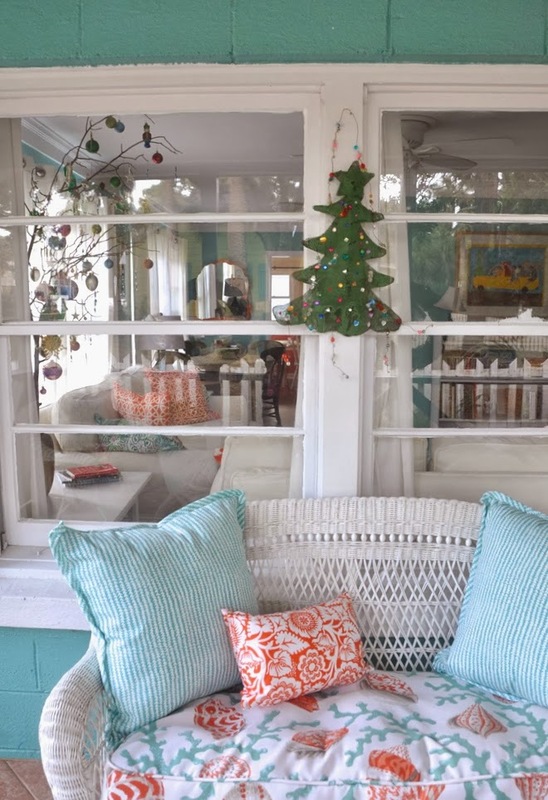 I love the idea of staying in a cottage and having our own space! 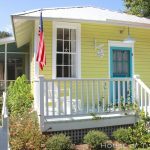 Tybee is just beautiful, and this cottage is too cute with its folk art and beautiful colors. Now to find some time for a vacation! Gorgeous! Looks like a wonderful vacation spot! What a charming looking house. I cannot wait to visit this summer. 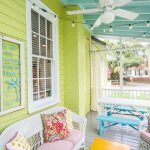 Thanks for featuring another Tybee Island home. Time to go back. 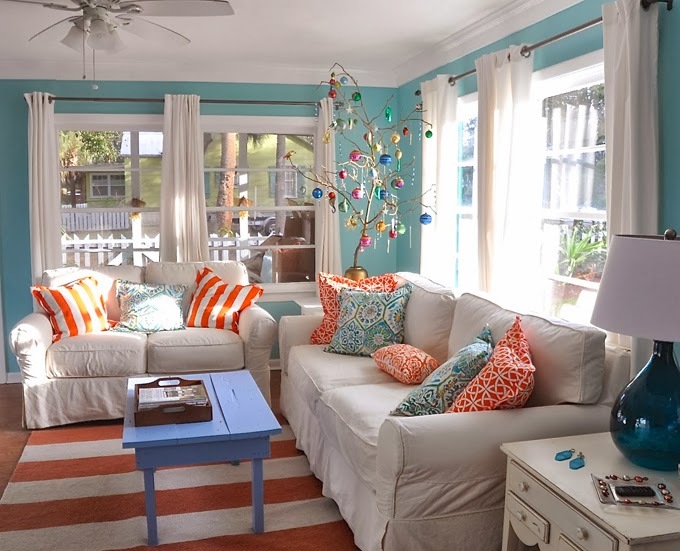 Cool, clean, comfortable and colorful = a wonderful vacation! 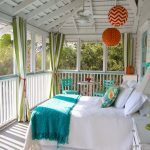 Cool, clean, comfortable and colorful = a perfect vacation spot!